Hair designer Truong Xuan Tuan creates original artwork on his clients’ hair with the images of celebrities and beautiful landscapes of Vietnam. Truong Xuan Tuan started designing graphic artwork on hair three years ago. 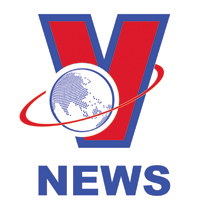 Since Tuan began creating original haircuts with the images of the characters in Vietnam’s famous television series “Nguoi phan xu” (The arbitrator) and “Song chung voi me chong” (Living with mother-in-law) in 2017, many clients have increasingly come to his barbershop for special haircuts. 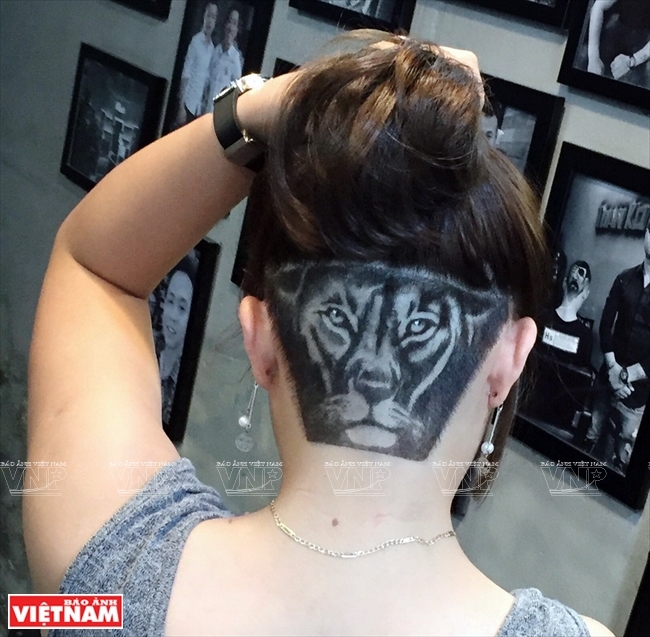 Shaving designs into hair has now become popular among young people as many barbershops in Hanoi offer this service. Tuan said not all images can be featured on a client’s hair, especially the images of the clients or their loved ones. 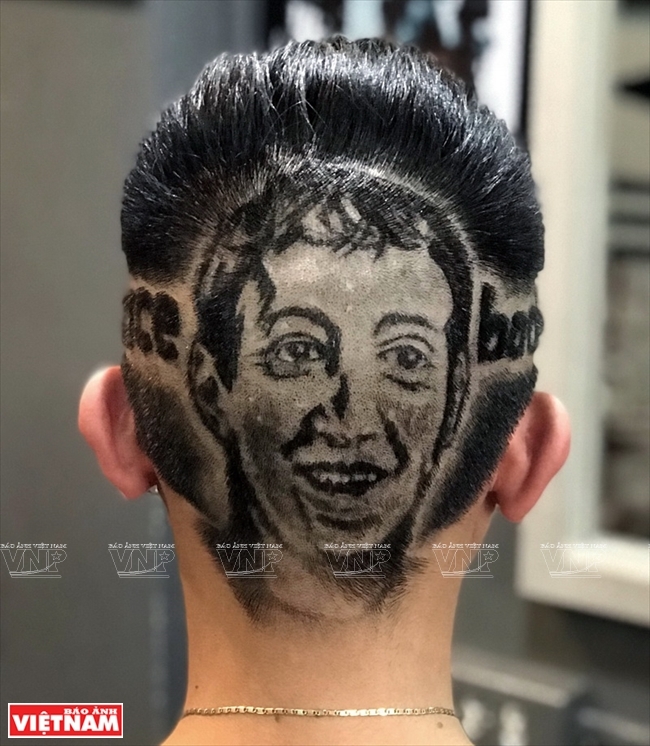 To do a haircut with images which look exactly like real images, the barber has to spend time to memorize the images. Hair designer Truong Xuan Tuan completed his first shaving design in 2015. Truong Xuan Tuan uses a trimmer to sketch a picture on his client’s head. Tuan said that doing hair shaving designs requires basic knowledge about haircut and artistic ability. Many people come to Tuan’s barbershop to learn about shaving designs in hair. 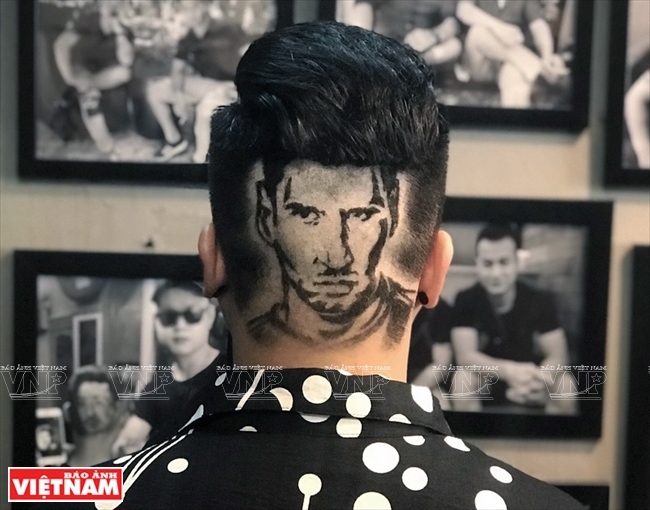 With a scissor and a trimmer, Tuan completed his client’s haircut with an image of Cristiano Ronaldo in less than 30 minutes. His shaving designs range from beautiful landscapes of Vietnam to images of famous actors and favorite soccer players around the world. The price for a small shaving design is around 300,000 to 400,000 dong (13-17 US dollars), and 500,000-700,000 dong (20-30 US dollars) for big ones. Some designs can be kept for 10 days, while others just stay for 2-3 days. Tuan said his shaving designs are popular thanks to his sharing on Facebook which not only attract clients but also young people who are interested in learning the techniques and skills of this special art./.